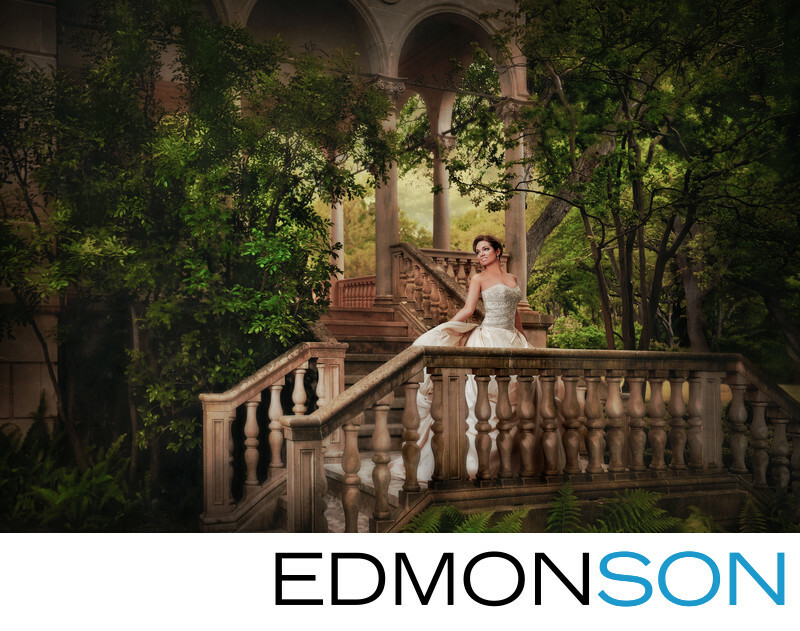 This bridal portrait is held on the grounds of a private estate in Austin, TX. The backyard features dramatic stone craftsmanship including these stairs. Her wedding dress made my Ines Di Santo is held in her hands as she stands at the balusters. 1/80; f/3.5; ISO 100; 32.0 mm.